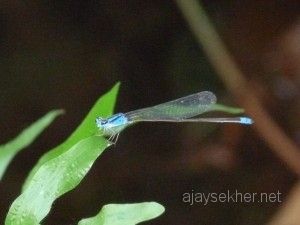 Pathanamthitta is the gift of river Achankovil originating from the high ranges of the Western Ghats near the ancient forest shrine of Achankovil in the north eastern border of Kollam district so close to Senkotai and Tenkasi in Tamil Nadu. 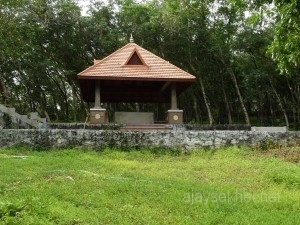 Achan Kovil means the shrine of Achan or the supreme deity. 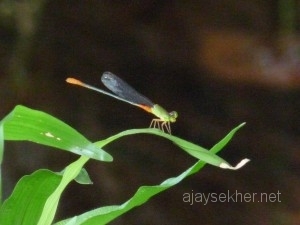 The Malayalam words Achan, Appan, Aliyan etc. 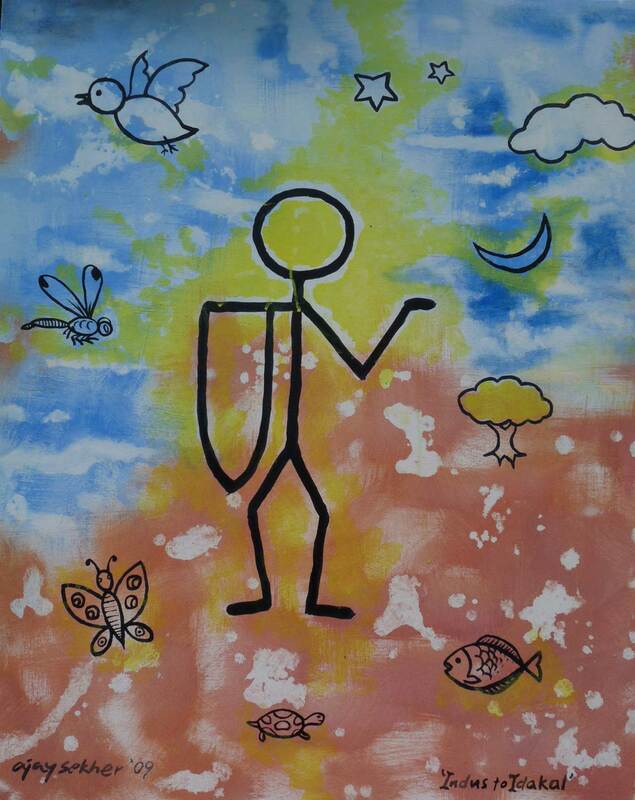 have Sramana and Buddhist origins. Along with river Achankovil, Pampa and Manimalayar join in the Pathanamthitta basin in the west to make it fertile and lush green. 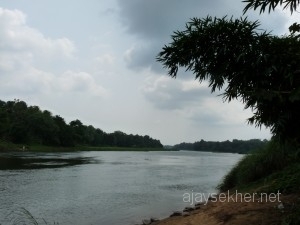 The place name combining Pathanam (ship) and Thitta (river bank and delta) explains the ancient riverside inland port or Pattanam (port town) on the banks of Achankovil. Pathanapuram is also close towards the south. All these three rivers drain to Kuttanad backwaters ultimately to lake Vembanad in the west like Kodoor, Meenachil and Muvatupuzha rivers. 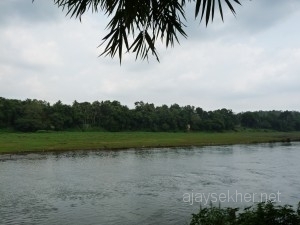 In the ancient times Pathanamthitta was part of this intricate inland waterways and wetland ecology and cultural water-scape. The rise in the water level in those days allowed big vessels to come so inland as this ancient inland port town. 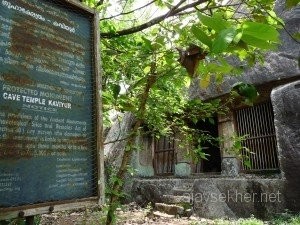 Pathanamthitta was part of Kottayam and Kollam districts till a few decades ago. This beautiful new district has important cultural and ecological treasures that lure the travelers. 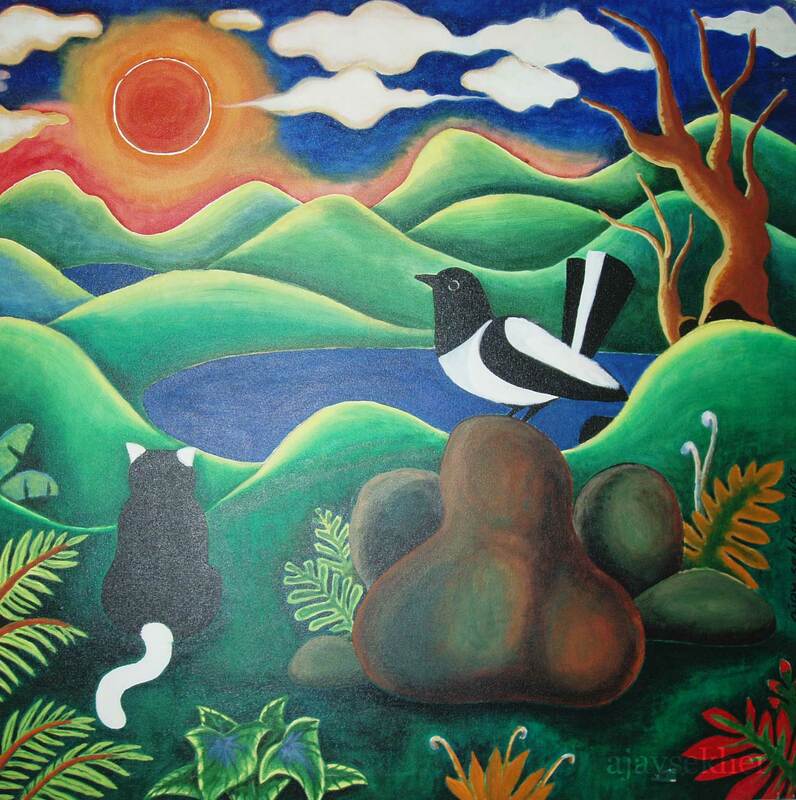 On April 30, 2011 I made a 200 km midsummer drive through its tropical green contours, wetlands, deltas and dales. I started from Kottayam in the morning and went to Thiruvalla straight down south on the MC raod. From there took the eastern route to Pathanamthitta. 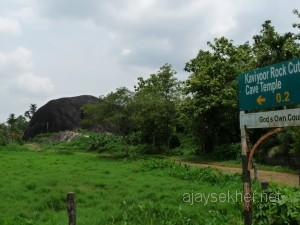 Just 5 km east near Paipad backwater lake and on the western bank of river Manimalayar I visited Kaviyoor rock-cut cave temple. This 8th century carved granite temple is associated with Jain and Pallava architectural tradition later converted to a Hindu Siva temple. 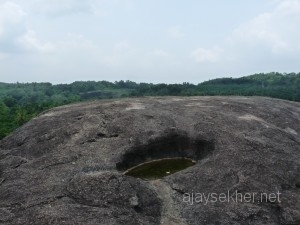 The giant granite rock and surrounding area is still called Trikalkudi or divine rock settlement or divine footmark settlement. Place names close to the locality like Pazhampally, Pallypuram and Mundyapally also expose the Sramana antiquity of the place. More than that Mallapally, Madapally, Vazhapally, Mariapally, Puthupally, Pallypurathukavu, Karthikapally, Karunagapally etc. are also surrounding this region. To add to all this there is a Hanuman temple now called after Siva. 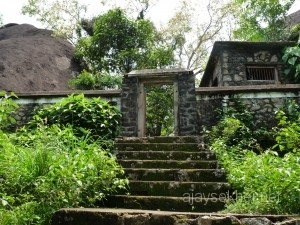 It could be well assumed that this was an ancient Jain cave temple like Kallil near Perumbavur in Ernakulam district in the north. 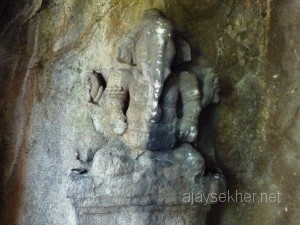 Local people still have the legends of Bhuthams (demonised Buddhists imagined after Brahmanical invasion) building the cave overnight like the Bhuthathankettu dam in Periyar near Thattekkad that was built by the Sramana sages for irrigating the Periyar valley and improving its agriculture. A local woman also told me that the foot mark engraved on the stone was on top of the rock but now being lost through various encroachments and erasures. 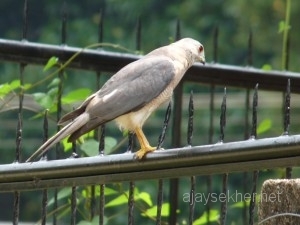 Jains traditionally worship the footmarks of their gurus or Thirthankaras. 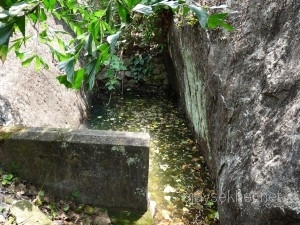 There is also a brimming spring near the cave. Jain shrines are also known for their medicinal springs. The facade also shows signs of chiseling and erasures. 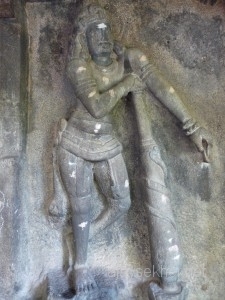 The comparatively new stone phallus inside the chamber does not match with the antiquity of the surrounding carvings and is surely a later re-installation. 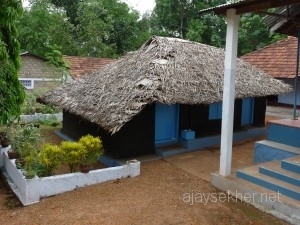 From there I re-entered the state highway connecting Thiruvalla with Pathanamthitta and went east a few more miles to reach Eraviperur (8 km east of Thiruvalla) the head quarters of PRDS a subaltern socio-cultural and spiritual movement established by Poykayil Kumara Gurudevan and the birthplace and memorial of Poykayil Kumara Gurudevan or Poykayil Appachan. I met the president and important people leading the institution. They welcomed me as the translator of Appachan to English and showed around the place including the preserved hut of Appachan where he was born and left the body. Then again went east to Marmon the venue of the annual Christian convention on the banks of Pampa. Thanks to the summer showers all the rivers and water bodies in the district are full and brimming with fresh water. I remembered accounts of C V Kunhiraman addressing the huge gathering in the Maramon Convention on the banks of the great river to talk about caste and the vitality of conversion in fighting it in the early decades of 20th century during the hey day of Kerala renaissance social struggles. On crossing the river Pampa on the eastern bank I met another revolutionary speaker immortalized in a bronze statue. It was C Kesavan in metal delivering his historic Kozhanchery address in 1935 during the Nivarthana Prakshobham or joined struggle by Christians, Muslims and Ezhavas. Enjoying rice and spicy fish curry from a restaurant near the Pampa bridge I resumed my journey via Thekemala to Elavumthitta (around 10 km from Kozhanchery) the land of another brave son of the soil enriched by rivers Pampa and Achankovil. 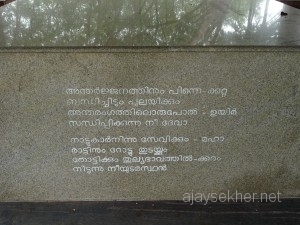 It was Muloor S Padmanabha Paniker who questioned Savarna hegemony in poetry and literature in an unquestionable fashion towards the end of 19th century in Malayalm and paved the way for Asan, Karupan and Sahodaran and a whole lot of Avarna or untouchable poets and writers in Malayalm through his brilliant verses and literary interventions that shook the cultural monopolies of the Savarna lords for ever. 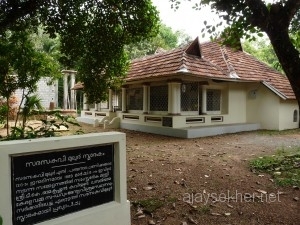 I reached his renowned home named after his friend, Keralavarma Saudham around 3pm. 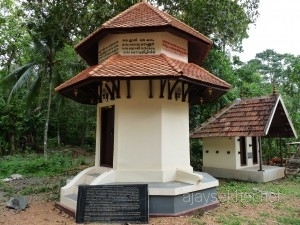 The newly preserved home and monument by Govt. of Kerala are a treat to the eye and the mind. It was getting cloudy and it began to drizzle. The humidity and heat of Pathanamthitta just before the summer showers are really challenging during this time of the year. 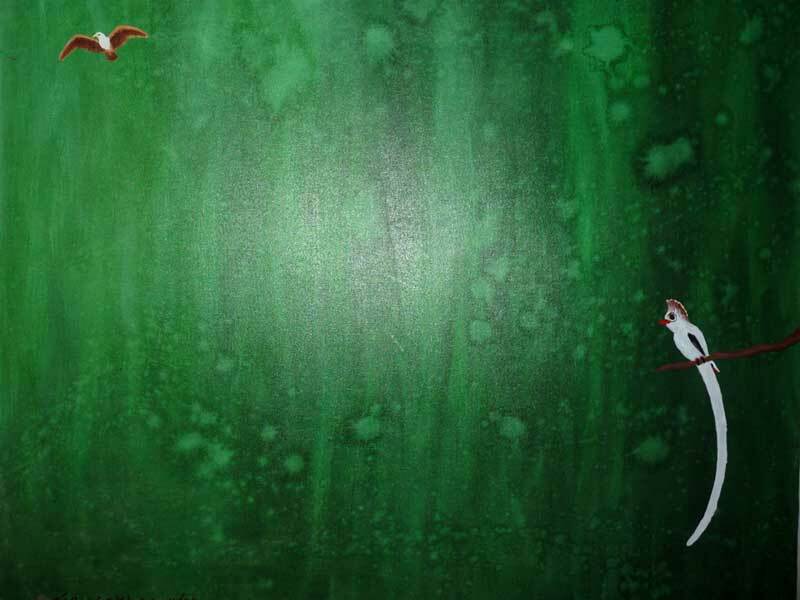 But it is also a unique experience of nature in its own. At Elavumthitta I also visited the the Govt. UP School that is named after Muloor. A Buddha Engineering college for girls is also coming up in the region near Ayathil the wife house of Muloor. From Elavumthitta I drove to Pathanamthitta the capital town of the district and visited my publishing friends Saju of Prasakti Books and Hari of Fabian at the Library Council Book Fair happeing in Co-operative College premises. Browsing through some of their new titiles that they gifted to me and savoring tea with them I went up to Konni a few miles south on the Muvatupuzha-Punalur Hill Highway to enquire about the new Konni-Achankovil road now being developed by Kerala PWD. 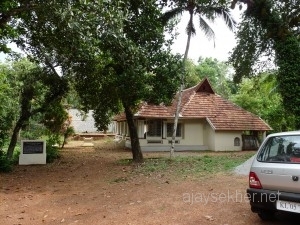 I went up to the margin of Pathanamthitta district and touched the border of Kollam through this new route by driving through the teak plantations for a few miles. Then talked to the local people and they informed me that the route lacked tarring in a mid 10km stretch in its 40 km course. I began my return journey through Konni-Pathanamthitta-Kozhanchery-Thiruvalla-Changanassery-Kottayam at around 6.30pm. The roads are good in this route. I reached home in Gandhinagar, Kottayam at around 9.45pm. Thanks to our little Maruti 800 the 12 hour and 200km drive on a hot and humid midsummer day was sensational and empowering in various ways in which I learned and experienced a lot about my neighboring district; its past, present, culture, nature and people. I also found out a new thing about our rivers. Rivers are accessible and could be experienced through roads as well. But there is nothing like sailing through the rivers themselves and touching their fresh water with your hands. Compared to other districts Pathanamthitta rivers seem to be free from plastic wastes and pollution as well. This entry was posted in Cultural Politics, Culture and Ecology and tagged Achankovil river, Buddhism in Kerala, cave temples in Kerala, Elavumthitta, Eraviperoor, Jain rock cut temple in Kerala, Jainism in south Kerala, Kallil temple, Kaviyoor cave temple, Konni and Pathanamthitta, Kozhanchery, Kuttanad and Buddhism, Manimalayar, Maramon, Muloor memorial, Pally words in Kerala place names, Pampa, Pathanamthitta, Poykayil Appachan, Poykayil Sri Kumara Gurudevan, PRDS, Sarasakavi Muloor, Sramana tradition of Kerala, Trikalkudi rock cut cave temple on May 4, 2011 by Ajay. 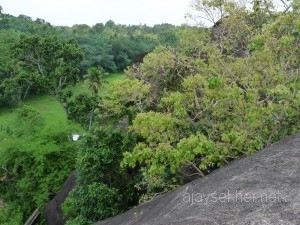 Kallil is a rock-cut temple in central Kerala. 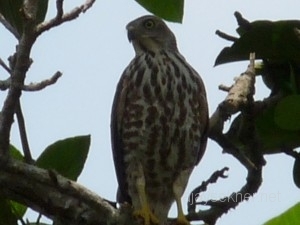 It is located a few miles east of Perumbavur in Ernakulam district near Odakali. 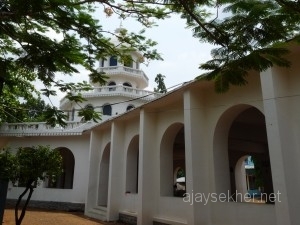 According to historians like V V K Valath and P K Gopalakrishnan who have done extensive field studies and archival research in the local history of Ernakulam district it was a Jain temple till the7th or 8th century. 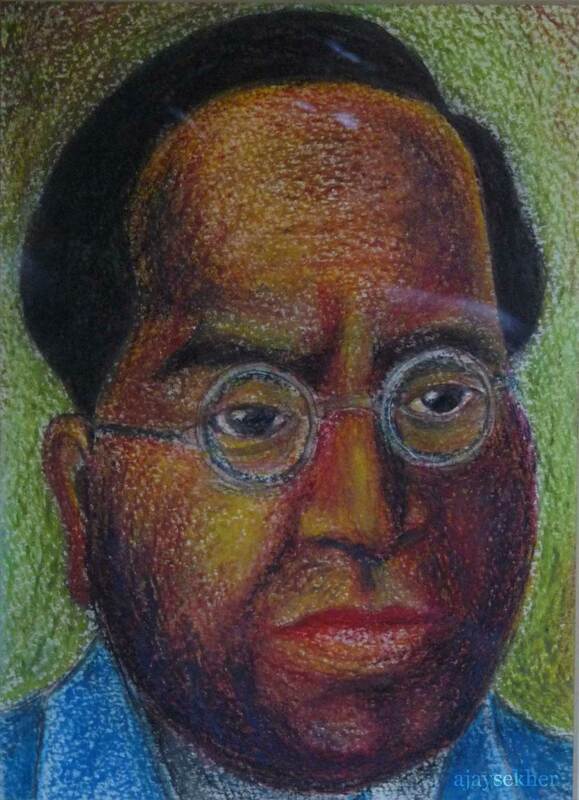 The early 20th century commentators have also pointed out the Jain ancestry of the Kallil Pisharady. 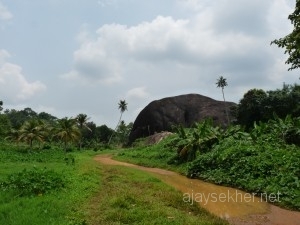 In the ancient Tamilakam Adikal denoted a Jain sage as in Ilanko Adikal the legendary Jain saint (who was the brother of Cheran Chenguttuvan the Chera emperor), who composed The Silapathikaram the Tamil Sramana epic at (Thrikana)Mathilakam, a few miles west of Kallil near the coast and north of Kodungallur also known as the ancient port of Vanchi or Muziris. 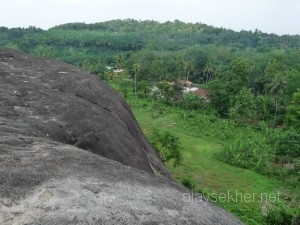 It can be reasonably assumed that this rock structure was converted into a Hindu temple after the onslaught of Brahmanism that wiped out Buddhist and Jain cultures from Kerala in the seventh, eighth and ninth centuries through coveted royal patronage and usurpation. The historians record that the idols of Mahavira, Parswanatha and Padmavathi Devi were found from the temple. 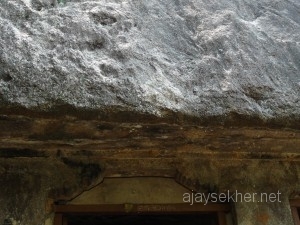 We can still see the relief of the Jaina Thirthankara on the rock surface above the front opening. 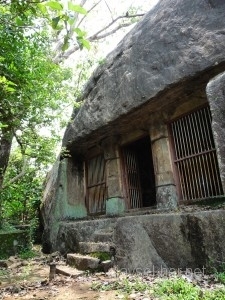 The cave shrine is housed on top of a small hillock. 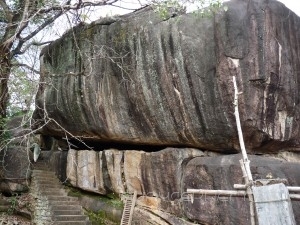 the top of the shrine is covered naturally by a huge granite rock. 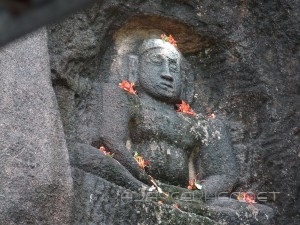 There are also images of Naga deities in front of the shrine. 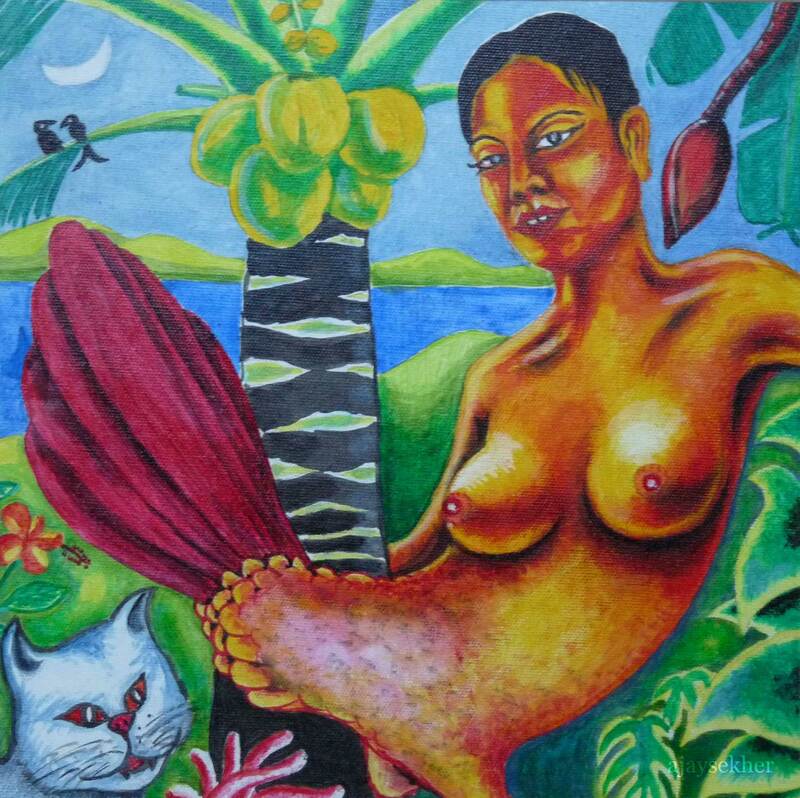 Now the image of the Devi is worshiped as a Hindu godess. 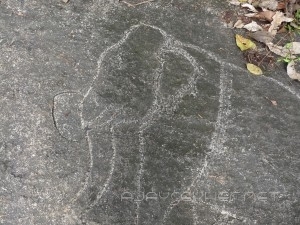 There is also a rock carving or shallow etching of an elephant image at the back of the shrine, which again is a confirmed Jain icon or Mudra.There are also ancient ponds and tanks that offer clear drinking water nearby. The mineral water springs also confirm the fact that this was an ancient Jain Thirtha or forest cave shrine with a mineral spring that attracted devotees from far and near. 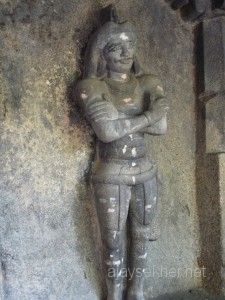 We have similar relics of Jain temples in Wayanad in Sulthan Bathery and Mananthavady. 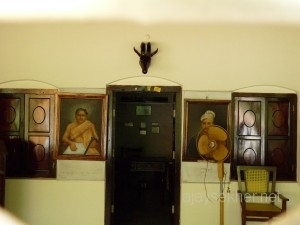 In Palghat a Jain Basti still survives and a few families too. the place is called Jaina Medu. But these regions are close to the Karnataka plateau and are exceptions in the cultural geography and history of Kerala. 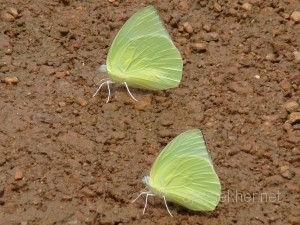 Valath, V V K. Keralathile Sthala Nama Charithrangal: Ernakulam Jilla. Thrissur: Kerala Sahitya Academy, 1991. 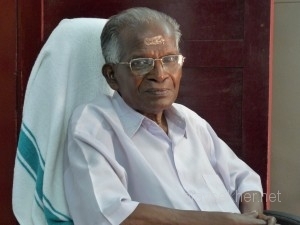 Gopalakrishnan, P K. Keralathinte Samskarika Charithram. 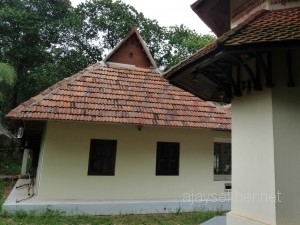 Trivandrum: Kerala Bhasha Institute, 2009. —, Jainamatham Keralthil. 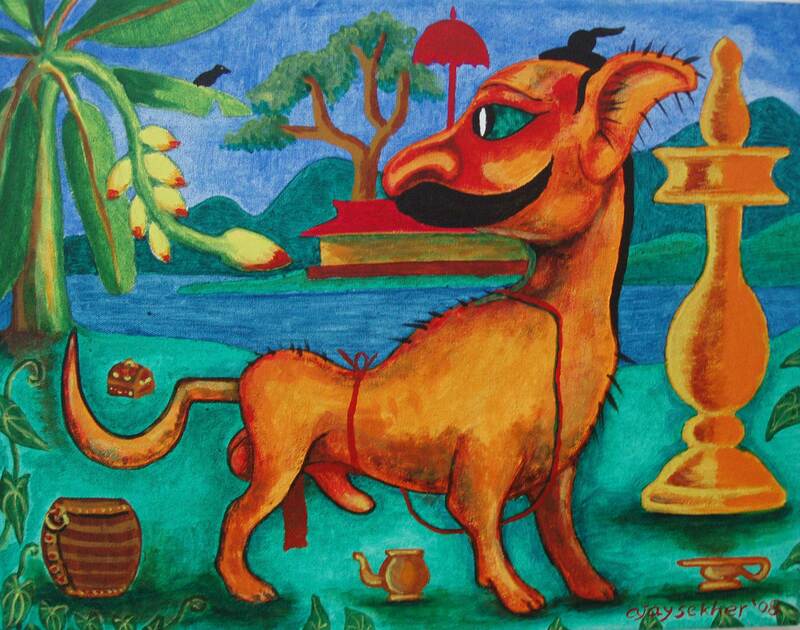 Trivandrum: Prabhat, 1992. This entry was posted in Cultural Politics, Culture and Ecology and tagged Brahmanism in Kerala, Jain architecture in Kerala, Jain images from Kerala, Jain temple in central Kerala, Jainism in Kerala, Kallil Jain shrine, Kallil Pisharady, Kallil temple, Mahavira and Parswanatha images from Kerala, Odakali, Perumbavur, rock-cut cave temple in Kerala, Sramana culture of Kerala on December 26, 2009 by Ajay.